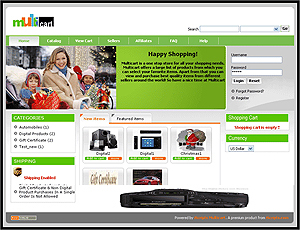 Unique shopping cart supports multiple vendors with a single storefront. Virtual mall integrated with the payment gateways Authorize.net, Paypal, 2checkout and Google Checkout. This installation is for 2 month FREE trial. It can be extended to regular license by purchasing a paid license and without impacting existing data.